Early Summertime Nature in New Jersey. 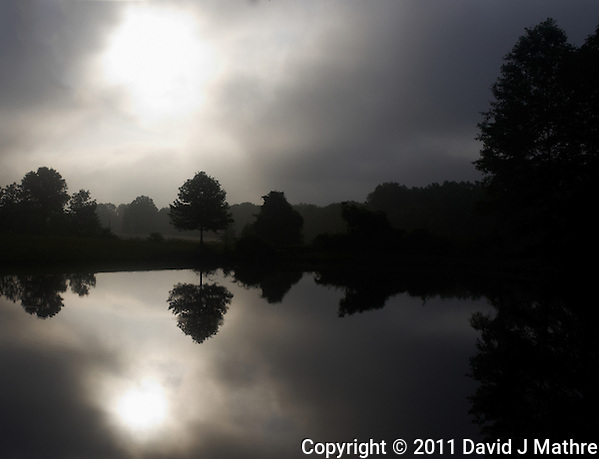 Morning Reflection and Silhouette at the Sourland Mountain Preserve. Image taken with a Leica X1 camera (ISO 100, 24 mm, f/6.3, 1/1250 sec). Raw image processed with Capture One Pro and Photoshop CS5. South Texas Birding Photo Safari with Jason Odell Day 2. 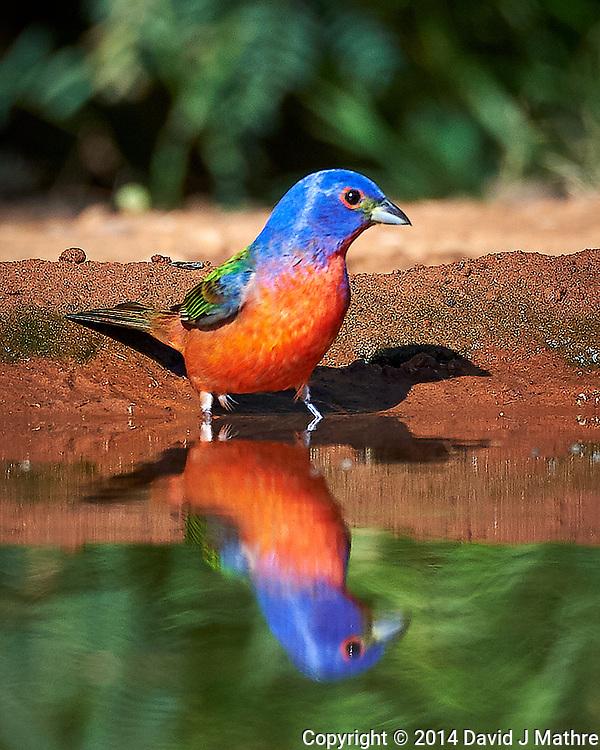 Male Painted Bunting About To Have a Bird Bath at Campos Viejos Ranch in Southern Texas. Image taken with a Nikon D4 camera and 600 mm f/4 VR lens (ISO 640, 600 mm, f/8, 1/1000 sec). Raw image processed with Capture One Pro 8, Focus Magic, and Photoshop CC 2014. Gone to See America 2007. Springtime in Chicago. Walkabout in Millennium Park during time off from the American Chemical Society spring national meeting. The “Cloud Gate” also known as “The Bean” is quite an attraction. I was able to take a mirror “selfie” with the city in the background. Someday, I would like to go back and do a time-lapse video of people interacting with the sculpture. The images in the two slide-shows have been reprocessed using new software. Individual images can be viewed here. Let me know if you find the two out-of-place images. Gone to See Iceland 2014 – Winter Photography Workshop. Day 4: South East Coast. 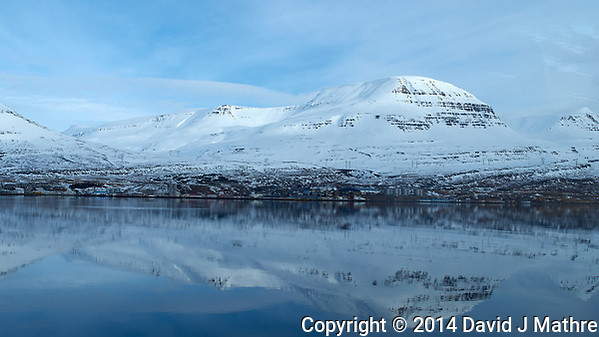 Reflections of the Sky, Clouds and Mountains Across Reydarfjordur in Eastern Iceland. Image taken with a Leica X2 camera (ISO 100, 24 mm, f/8, 1/250 sec). 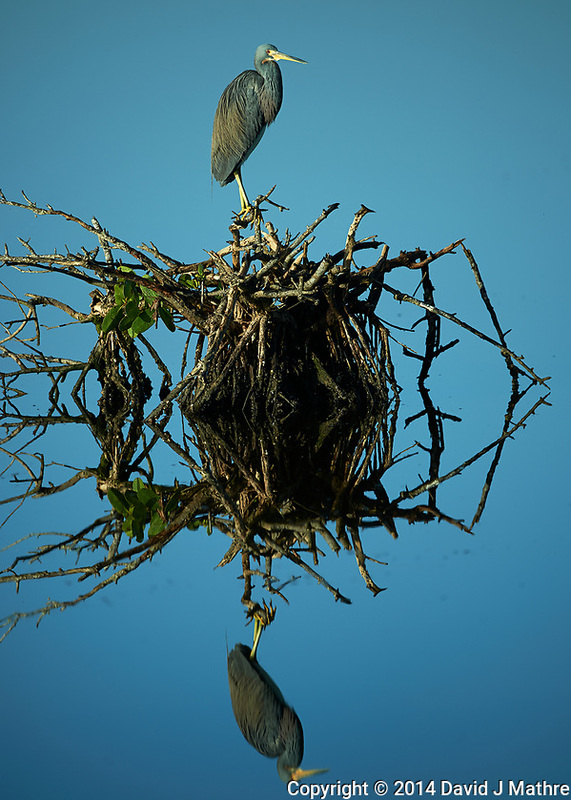 Tricolored Heron and Reflection in the Early Morning Sun at Merritt Island National Wildlife Refuge in Florida. Image taken with a Nikon Df camera and 500 mm f/4 VR lens (ISO 100, 500 mm, f/4, 1/1000 sec).